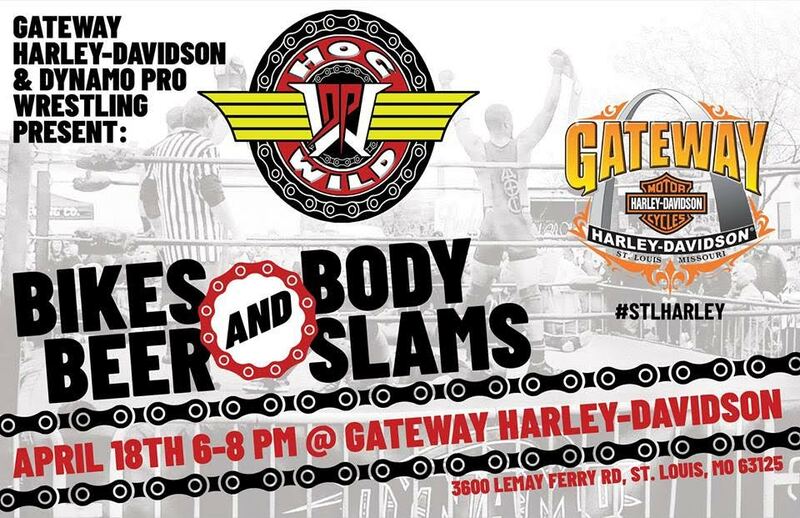 Posted on April 16, 2019, in Dynamo Pro Wrestling, News and tagged Bike Night, Christopher Adams, CJ Shine, Dynamo Pro Wrestling, Gateway Harley-Davidson, Keon Option, Makaze, Mike Outlaw, OuTtKaSt, Ricky Rodriguez, St. Louis, The Arch City Mercenaries, Viktor Von Stein, Xavier Shadowz. Bookmark the permalink. Leave a comment.